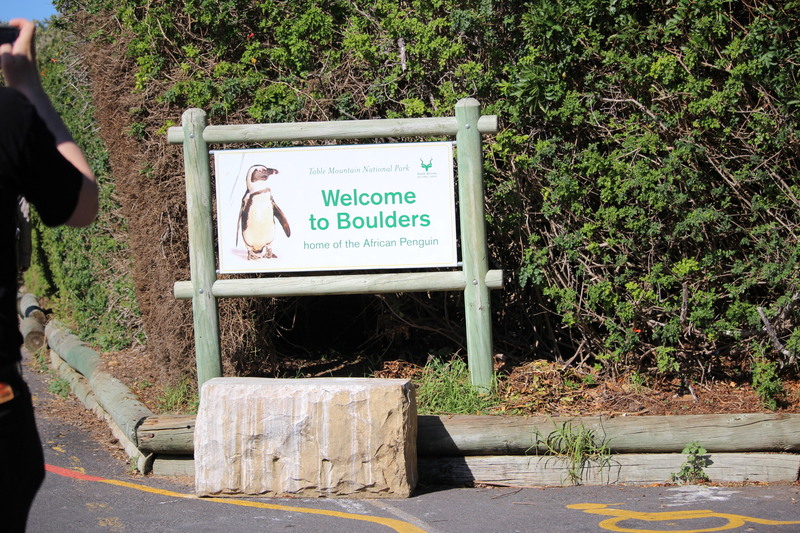 On the way to the Cape of Good Hope, there is a stop at Boulders Beach where a bunch of suited up penguins hang out. 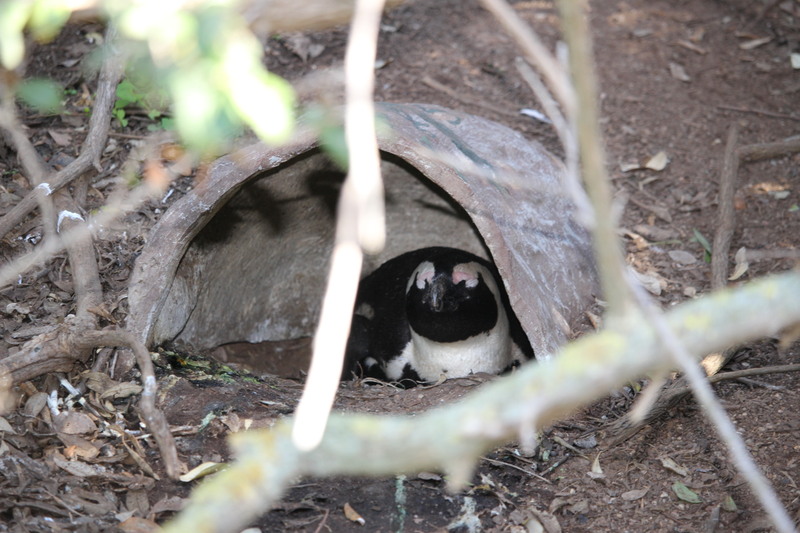 Some of them seem to be hiding out inside little huts. 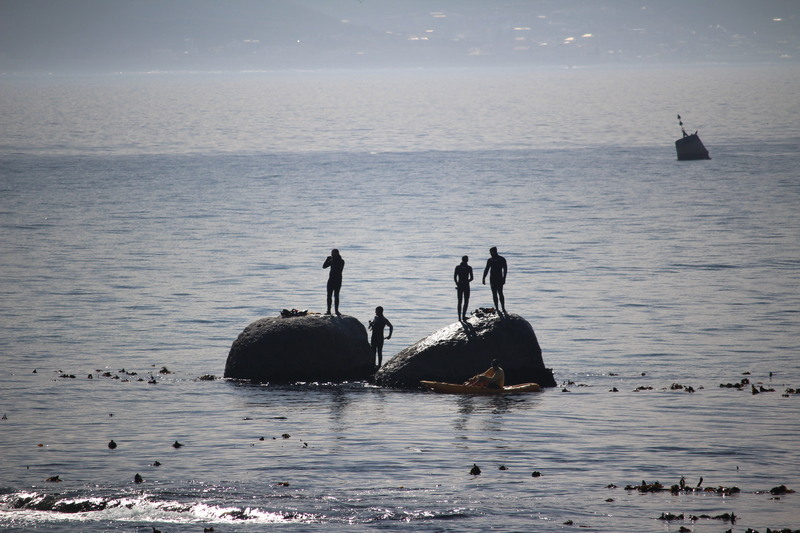 Others are bopping around the beach. 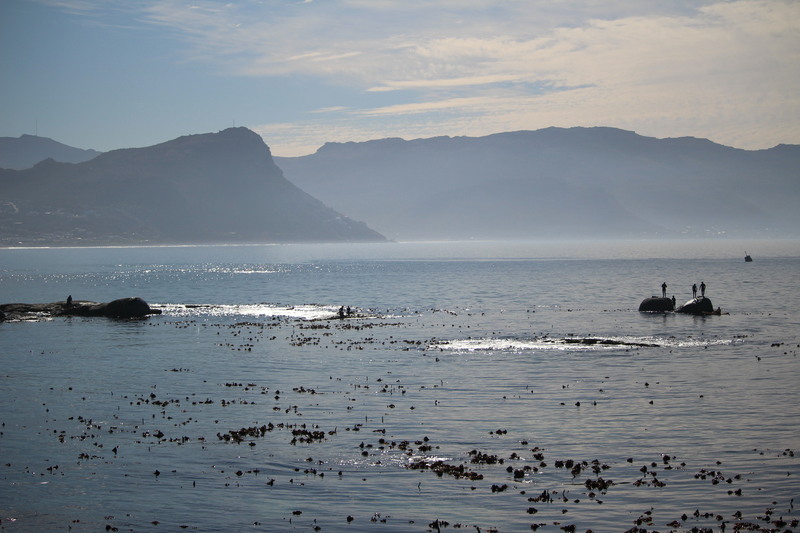 Others paddle into the water for a dip. 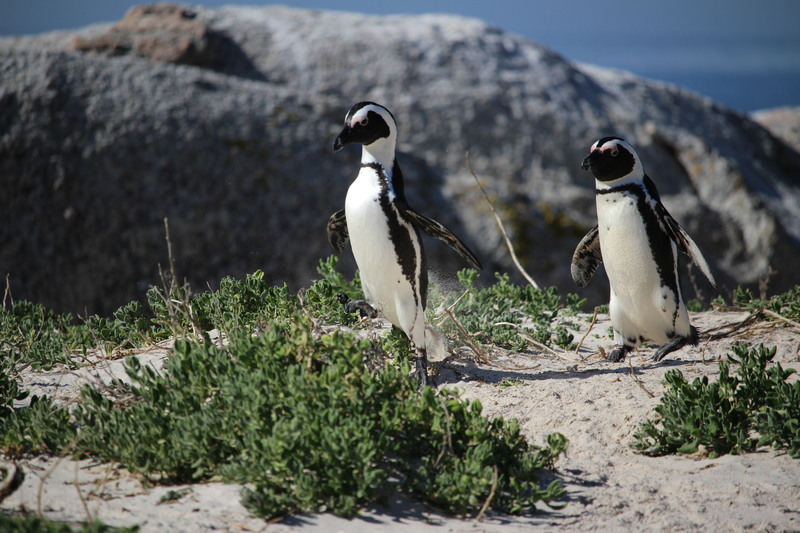 These are African penguins, aka “jackass” penguins. 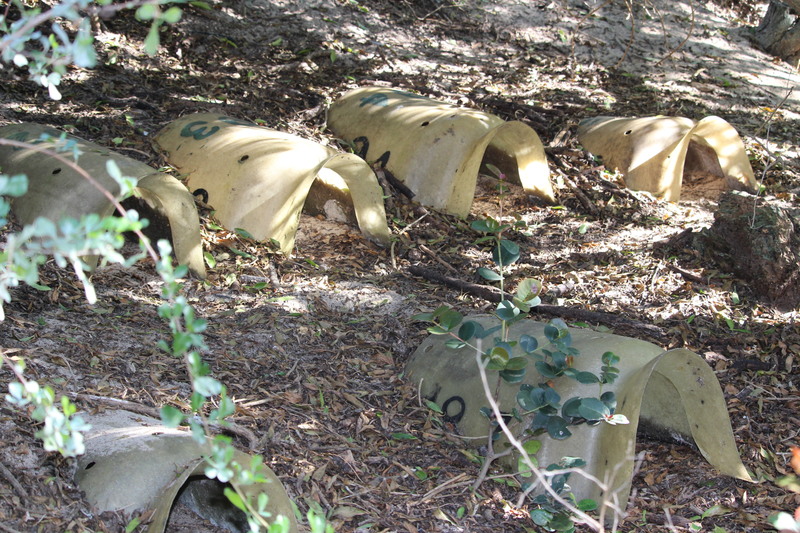 Named not for their Johnny Knoxville-like antics, but for a loud sound they sometimes make that sounds like a donkey. 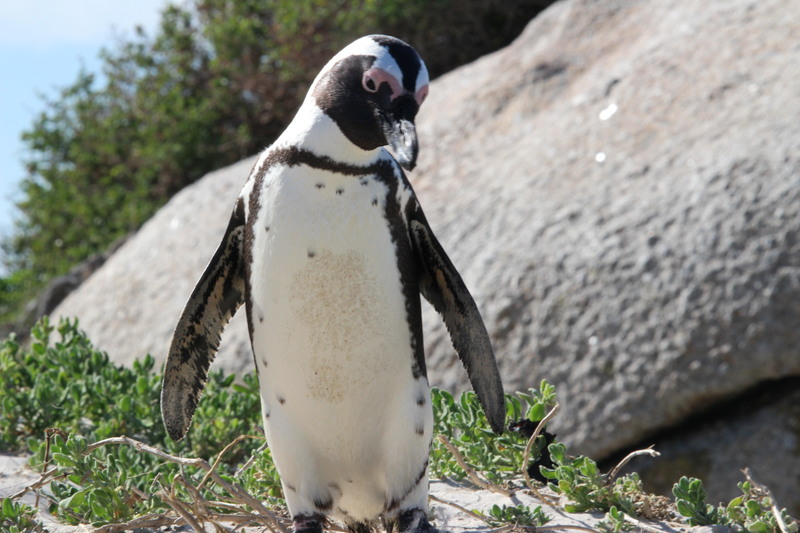 These penguins share their waters with swimmers of the human variety, apparently. 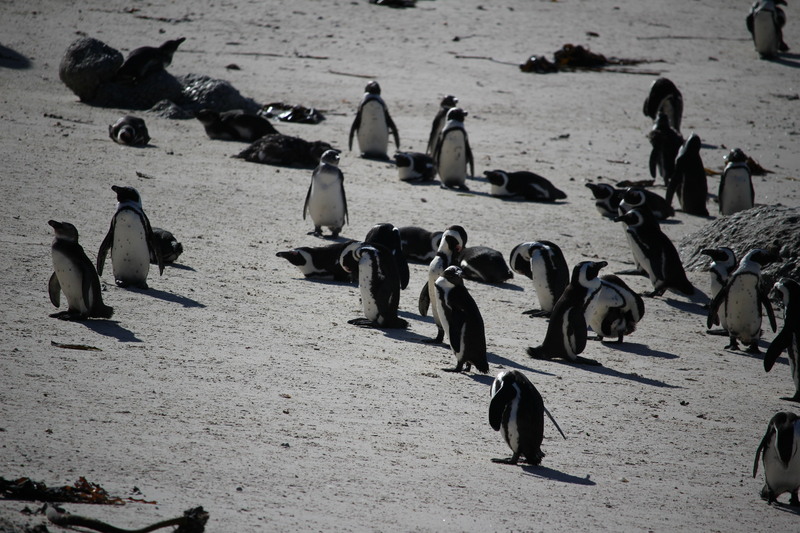 This entry was posted in May 2016, Penguins, South Africa. Bookmark the permalink.